With its quartet of gold buttons on the sleeve, the navy blazer is a staple of the preppy or Ivy League look. They're named for the 'blazing' red coats of the Cambridge rowing team, but we all know the version in dark blue. 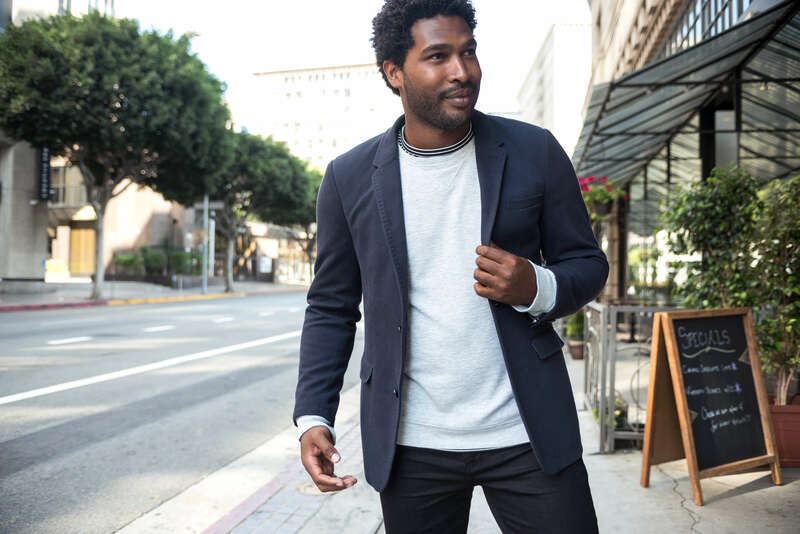 You already know how to fit a blazer, so here are four ways to style this iconic sports jacket. 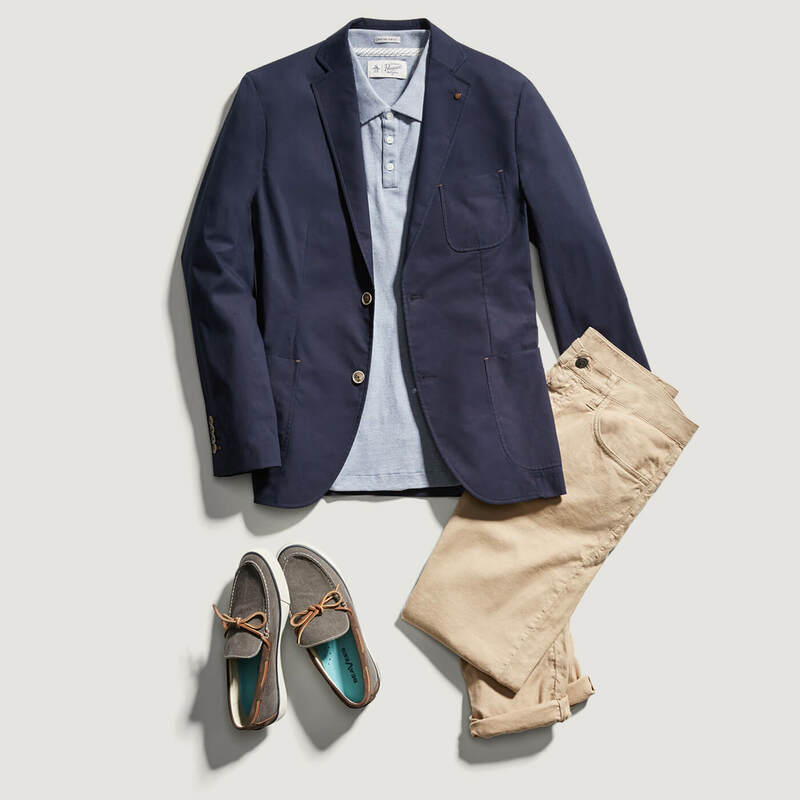 Try out a navy blazer with these four different looks. 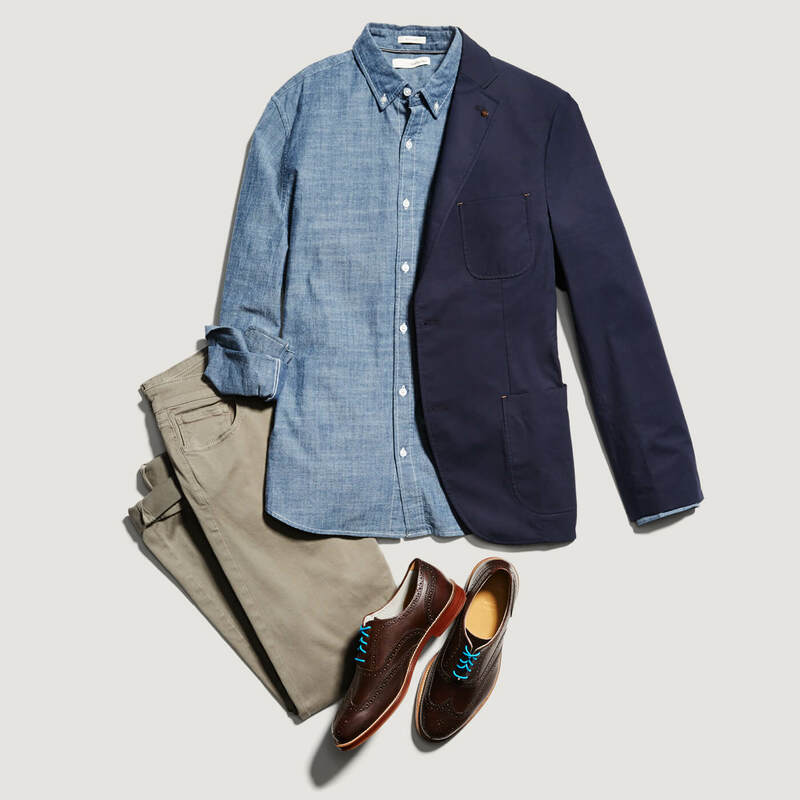 For a professional look, drape your blazer over a chambray shirt and chinos. Earthy tones like olive add warmth to a stoic color like navy. And, the light blue denim adds the right amount of contrast. Your blazer plays a leading role in this trio, compared to its muted partners, and that’s a good thing. Wear this look at the workplace, at workplace functions, or at post-workplace-function functions. In other words: it’s versatile. There’s more to blazers than just the Ivy League look, but lest we forget: there’s also the Ivy League look. If you’re going to town, you might as well take a Lincoln. For example, this sun-friendly ensemble. Light-colored chinos plus polo shirt equals summer style. That’s just math. It’s casual and comfortable and can follow you to any semi-formal shindig. Add the blazer to kick it up a notch. Now you’re ready for an evening event or post-prandial drinks on the patio. The uniform of both jocks and geeks alike, the hooded sweatshirt is a bit of a chimera. It’s also a nifty way into a highbrow/lowbrow style situation. Don’t reach for any hoodie with a sports logo on it. Aim for something darker, fitted, or even fashion-forward to sneak underneath your navy. 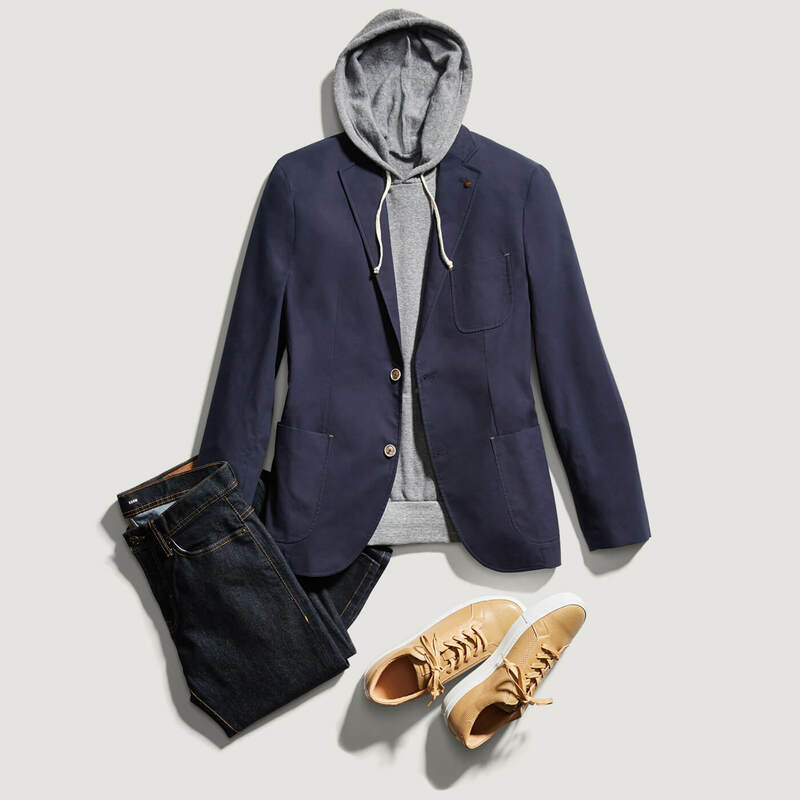 The blazer dresses up an otherwise collegiate look; the hoodie adds some edge. Anchor the outfit with a dark jean, and you’ve got a layered outfit that’s perfect for fall. In the American northeast sailing isn’t just a pastime: it’s a way of life. So a few well-placed nautical stripes are a hat tip to the blazer’s watery origins. They look great too. 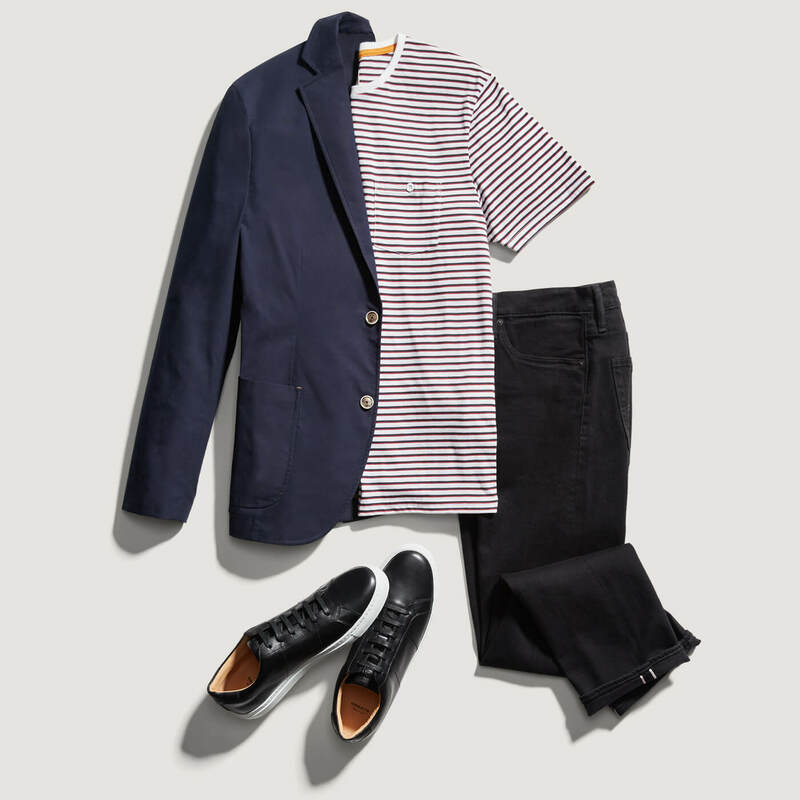 The simple combo is complete with a pair of jet black jeans. It’s casual and sophisticated at the same time. Stripes can be summery, but we’re certain you can wear this style year round and still make a splash. Want to give these looks a try? Leave your Stylist a note about the pieces you need—we’ll add them to your next Fix.